I am delighted to update you on the incredibly successful inauguration of International HPV Awareness Day. 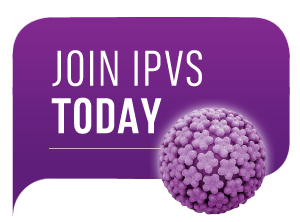 On behalf of IPVS members, the Advocacy Committee set out to create greater global awareness of HPVs, the diversity of communities affected and how we can all do something to reduce risks of associated disease – we can all #GiveLoveNotHPV. Our initial data during the week of 4th of March shows that we have achieved that and more. Our partnership building strategy clearly played a crucial role in our success – it seems the world was ready to come together to deliver an HPV awareness campaign! Events spanned HPV testing drives, community presentations, media interviews, lectures, public information booths, leaflet distribution, conferences and city running events. The combination of partnership energy, clear, simple messaging and tools that could be adapted to progress specific organizational and community agendas not only took our message that HPV affects everyone to the world, but also provided a platform for discussion of HPV more generally in the media. Coverage of HPV went up by over 5000% on March 4th and HPV continues to receive considerable media attention globally. It was genuinely exciting to watch the campaign spread around the globe on March 4th. We really hope the day helped you to achieve some of your objectives and sincerely appreciate your support and input. The Advocacy Committee and Campaign Team have set a high bar for International HPV Awareness Day 2019 and we very much look forward to working together to build on our achievements in the year ahead.